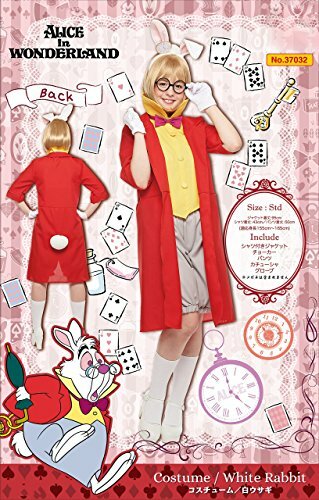 White Rabbit costume for women. 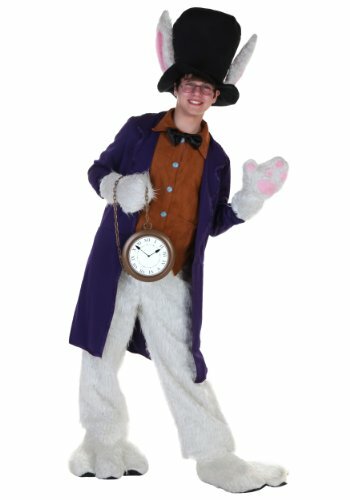 This set includes a jacket with shirt, a choker, one pair of shorts, a headpiece, and a pair of gloves. Size: Women's Standard Size (XS to Small Size). Recommended height about 61-65 inches.